Photo: Doug Knutson. Courtesy of SMG/U.S. Bank Stadium. Billy Langenstein is the Director, Event Services for U.S. Bank Stadium, the home of the Minnesota Vikings of the National Football League. Prior to using 24/7 Software at U.S. Bank Stadium, Billy leveraged the platform during his time as Director, Event Operations for Major League Baseball’s Washington Nationals. There was no other solutions provider in the market that could do what 24/7 Software could for his operation. The decision to use the platform for U.S. Bank Stadium was easy. After deployment of 24/7 Software’s platform, U.S. Bank Stadium had a platform in place that allowed them to communicate all critical information efficiently across all departments. It unified their operation. 24/7 Software affords Billy and his team the ability to cover all five of Billy’s mission-critical components of operations: mitigation, detection, response, investigation, and recovery. U.S. Bank Stadium, owned by the Minnesota Sports Facilities Authority, is a multi-purpose stadium and home to the Minnesota Vikings. The 66,655 seat stadium is located in the heart of Minneapolis, Minnesota. This state-of-the-art facility hosts prominent national and international programming including the Minnesota Vikings, concerts, family shows, college and high school sporting events, conventions, trade/consumer shows, and corporate or private meetings and other community events. U.S. Bank Stadium opened on July 22, 2016 and has been chosen as the site of the Summer X Games (2017 and 2018), Super Bowl LII (2018) and the NCAA Men’s Final Four (2019). SMG, the worldwide venue management group that operates U.S. Bank Stadium charged Billy with implementing a platform that would make the property a world-leader in technology and guest experience. The proactive decision had been made by Billy. He already had his sights on 24/7 Software after using the software solution during his time at the Washington Nationals. “U.S. Bank Stadium required a platform that was adaptive and all-in-one. 24/7 Software’s platform is extremely flexible. It fits the operational mold I was already creating on our property and throughout all of our operations,” Billy explained. “But my decision didn’t stop at the platform’s capabilities alone. It was much more for me. It’s the people that make up 24/7 Software. The customer service and people building the platform – that’s the characteristics of a solutions provider I want to work with every day,” continued Billy. “24/7 Software makes me feel like the only customer,” Billy said. According to Billy, 24/7 Software’s campaign on the importance of employing the Proactive Operations methodology merged with his operational mindset at U.S. Bank Stadium. 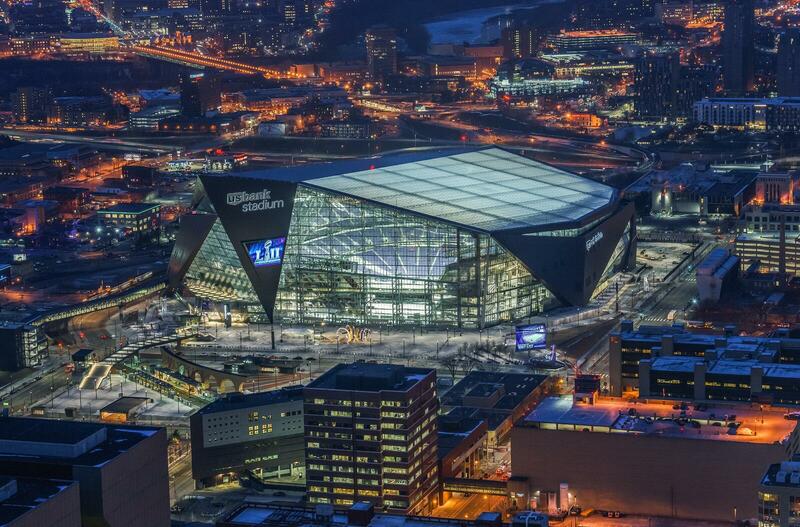 U.S. Bank Stadium didn’t look at any other solutions providers in the marketplace because they trusted the technology, service, and commitment of 24/7 Software. The implementation of the platform throughout all operations with the help of 24/7 Software supported the decision made by Billy to use the real-time communications platform. “We chose 24/7 Software because we were confident of how seamless the implementation would be,” Billy shared. Billy’s explanation of the platform’s intuitiveness and flexibility didn’t stop at implementation. He shared how the qualities of the solution extend to his operational teams and the ongoing training necessary to remain a proactive operation. “The modules are so easy to use, and we emphasize this while training our staff. The ease of use is engrained into the training, and that’s critical because we literally use the platform 24/7. Nothing can compare to having that kind of peace of mind,” Billy expressed. “24/7 Software is willing to listen, adaptive, their customer service is unmatched, and the innovation that comes from their team is unparalleled – all of which are things we focus on at U.S. Bank Stadium. We required a solutions provider like this that is focused and delivers, especially when we’re responsible for deploying such a robust platform,” he further explained. “Without the strong team at the stadium, we wouldn’t be as successful. Our keywords are Plan, Educate, Execute, Evaluate, Adjust, and Celebrate. Without the entire team at U.S. Bank Stadium, our operation would not be as strong as it,” Billy exclaimed. Billy is a dynamic leader, and you’ll understand why as soon as he begins talking to you about the inner workings of his operation. When asked about how his operation performed after ‘turning on’ 24/7 Software, he started explaining without delay how the platform has enabled his team to be a proactive operation 24/7 365. He knew everything about his operation and how the platform assisted with U.S. Bank Stadium’s operational capabilities as if it were a memorized symphony in his mind. He didn’t skip a beat either as he continued to explain further what other abilities 24/7 Software had provided. “Our access control system syncs directly into the IMS, along with our facial recognition, 3D visualization, elevator and escalator alarms system, and our panic buttons around the property. If a drone or fight is spotted via our camera system, it’s entered into the IMS in real time, which instantly enhances our communication because a notification is sent to need-to-know personnel for faster response,” he continued. Billy revealed details on how his operation uses the other aspects of 24/7 Software’s platform throughout the guest services and maintenance department as well. These were the primary aspects of the system that stood out to Billy the most. However, the benefits U.S. Bank Stadium experiences through their use of 24/7 Software continues to grow each day they use the platform according to Billy. “We could also see where we were spending money on maintenance. This awareness helped us work better with our vendors and to identify equipment failures that led us to use different equipment as needed,” Billy highlighted.